If you’ve been following student loan forgiveness news over the past couple years, then one name will stand out among all the rest – Betsy DeVos, and for good reason. Our Secretary of Education under President Trump, Betsy DeVos absolutely hates student loan relief programs and wants them all eliminated. She has repeatedly signaled open and outright hostility for anyone buried in student debt, and specifically those borrowers who have been lied to, scammed, and literally defrauded by some of the largest, most corrupt, private, for-profit colleges and universities across the country. As if we needed more details to confirm her agenda, in November, 2018, the most shocking statistic I’ve ever encountered was published by MSNBC News: of the 34,000 PSLF applications submitted to date, only 26 of them had been approved. That’s an appalling approval rate for a program that is literally the foundation of the country’s Federal Student Loan Forgiveness system, and literally the most important benefit that the Federal Government offers to students, and it’s a clear signal that Betsy DeVos has no intention of living up to the promise of prior Administrations, who were willing to trade student loan debt for public service. This page will track Betsy DeVos’s proposals to turn back the clock on some of President Obama’s Student Loan Reforms, and her implementation of President Trump’s Student Loan Plan, which calls for eliminating all sorts of debt relief protections and forgiveness programs. I’ll monitor all of President Trump & Betsy DeVos’s proposals to rip up the protections and benefits instituted by President Obama, and make sure that you clearly understand how their proposed changes will impact your loans, your monthly payments, and your hopes of becoming debt free. 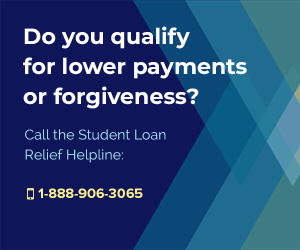 I’ve set this page up to help the public understand just how President Trump’s administration is attacking student loan forgiveness, and to make it easier for you to follow exactly what Betsy DeVos’s rollbacks will mean for your financial future. 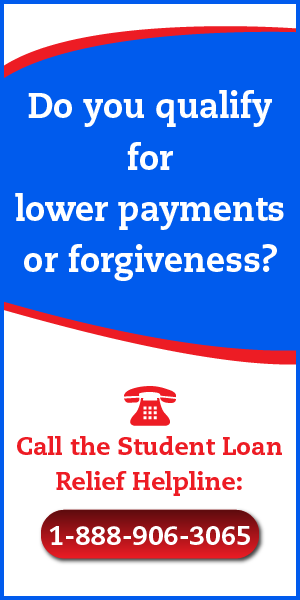 Before I go through all the details about how truly evil Betsy DeVos’s Department of Education has become, let me fill you in on a little secret: if you’re struggling with student loans, then your best course of action is probably to call an expert and ask them for assistance. 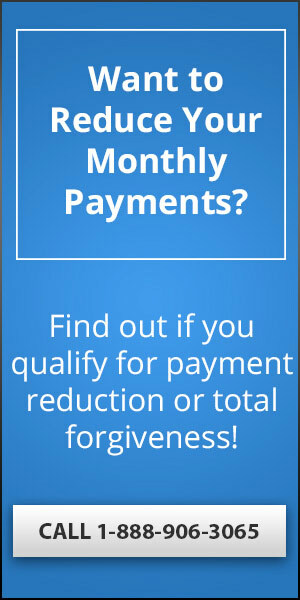 While experts do charge for their services, the benefit to using them is that they’re aware of all the amazing loan forgiveness, discharge and write-down opportunities on the market, and that they can probably show you the proper path to becoming debt-free in a matter of minutes. Why spend hours researching all the options and reading about law changes when you could just pay someone else a couple hundred dollars to handle it all for you? Don’t you want to make the right decision about how to deal with your debt? 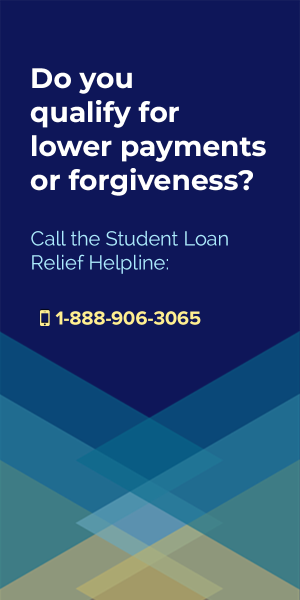 The more you owe, the more important it is to get this decision right, and the more reason you have for calling my favorite experts at the Student Loan Relief Helpline. 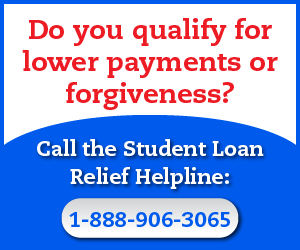 To take charge of your debt, call the Student Loan Relief Helpline now at 1-888-906-3065. Betsy DeVos has planned to attack several different pieces of the Obama-era updates to student loan laws, and specifically to protections, forgiveness programs and other benefits available to Americans buried in student loan debt. Here’s a list of the different things she’s announced that her Department is considering changing, and for the record, let me make it clear that none of these changes would be for the benefit of the American people. In fact, these are essentially giveaways to for-profit colleges and universities, and the huge hedge funds and Wall Street banks that back them. One of the most important changes President Obama’s Administration introduced to student loan laws was to help borrowers who’d been scammed by for-profit schools. In 2016, Obama’s administration made the Borrowers Defense to Repayment program (AKA “BDAR”) significantly more powerful, providing it with the ability to let students who were victims of fraudulent behavior apply to have their loans entirely forgiven. This process required a review from the Department of Education, but made it possible to have your entire loan balance forgiven if you could prove that your school has defrauded you by lying, over-promising and under-delivering services, or doing some other illegal activity that tricked you into singing up for the school’s higher education program. In an announcement from July 25th, Betsy DeVos’s Department of Education suggested revising the rules of the Borrower’s Defense Program, making some significant changes that will help the for-profit schools, and hurt ordinary American borrowers. These rule changes included a suggestion to create a new standard for borrowers to raise a defense against repaying their debt, essentially tightening up the circumstances under which a BDAR application will even be considered. Previously, as long as you could prove that the school did something illegal or fraudulent in the process of convincing you to attend, that’s all that was required for consideration, but now, borrower’s will have to prove that the school did this illegal activity with “known falsity, intent to deceive, or reckless disregard for the truth”; how could anyone ever hope to prove that? The proposed changes also included a new rule that no more group claims would be considered, which is a terrible idea because that’s the best avenue for low-income earners to pursue a BDAR Discharge, and one of the most lucrative ways that attorneys can take these cases on as well. And finally, as reported by Forbes, DeVos also wants to add a new rule that you can’t even apply for BDAR until you’ve already defaulted on your loan, which means that people will have to purposefully default in order to be considered for the discharge. President Obama wanted to make colleges and universities accountable for their financial aid distribution efforts, ensuring that schools couldn’t saddle their students with massive debt loads in return for useless or worthless degrees and credentials. Accordingly, his Administration created the Government-run College Scorecard site, which helped students determine whether or not the schools they were looking at were truly worth attending, and by ensuring that the accreditation standards used to measure the value of schools were in line with reality, essentially proving that any accredited school would be worth the investment. Part of this process included making accreditation standards more difficult to pass, allowing the Education Department to oversee the actions of accrediting groups around the country, and basically preventing schools from being able to slide through the accreditation process, again, to protect students from being bilked into taking out tens of thousands of dollars of debt for essentially useless education programs. Betsy DeVos’s Education Department says that Obama’s regulations on accreditation standards “restrict innovation within the industry and place heavy regulatory burdens on them, limiting their ability to tolerate risk” (Source: Education Dive). That may sound like financial gobbledygook, and it is; it’s basically an excuse for rolling back the standards imposed by the Obama-era officials in order to make it easier for DeVos’s friends at the for-profit corporations to continue business as usual, skating under the radar, making it look like their accreditations are up to snuff, when in reality, it’s all a game of smoke and mirrors. To make it easier for for-profits to saddle students with massive debt, all without any government oversight, DeVos plans on changing the definition of an “academic credit hour”, altering requirements for accreditor oversight of schools, and make it easier for new accrediting bodies to be created. None of this is a good idea. These changes forced schools to use a standard definition of a “credit hour”, and used that definition (at least in part) to determine access to federal student loan funds, as well as to help determine whether or not any given school would pass accreditation standards, and this was done, again, to ensure that only viable college programs would receive federal funding. The whole point of this program was to ensure that bad schools who weren’t providing a good service that would lead to actual employment opportunities would lose access to Federal funds, essentially killing their business since they weren’t providing any value to the community, and preventing them from loading up ordinary Americans with massive student loan debt. Betsy DeVos’s Education Department has been talking about making room for additional innovation in the higher education industry, and making claims that the standard definition of a credit hour are holding schools back from improving their product. Accordingly, they’re seeking to drop the standard definition of a credit hour, since they claim this is one of the worst parts of the Obama-era regulations, and specifically for “alternative providers”, or those schools offering non-degree program, competency-based education. Think trade schools, credential or certification programs, etc. The claim is that removing the credit hour definition will open up these sorts of non-degree providers for Pell Grant funding, and that this will improve access to higher education for the poorest and neediest Americans. Personally, I think it’s a way to skate around accreditation standards, loosen the regulatory power of the Federal Government, gain back access to Federal funds that shady for-profit schools shouldn’t be allowed to touch, and basically load everyone up with more debt, but what do I know? Another one of President Obama’s excellent student loan reforms was to clarify the rules regarding state authorization and eligibility for financial aid, controlled by the Higher Education Act. Updated in 2016, Obama’s Administration made it much more clear that schools and universities couldn’t simply acquire unlimited Federal funds, and that they basically had to prove that their higher education programs were legitimate, valid, and useful (read: worth the money), before they were able to get any money. The rules also stipulated that all online schools needed to prove they’d passed state accreditation standards before they were even allowed to enroll any students (let alone accept financial aid! ), and this was a great way to prevent fly-by-night schools from popping up, defrauding students, then disappearing when the legal battles began. Unfortunately, this rule change established in 2016, and which was supposed to go live in 2018, appears to be getting removed from the process by Betsy DeVos. Instead of taking these updates live per the 2018 due date, as they should, DeVos’s Department of Education just announced that they would delay implementation of the rules for two more years. They’re claiming that the delay is for another “public comment period”, but it’s pretty clear from this and other moves that DeVos will never let this new regulation go live; it hurts her friends at the for-profit schools far too much. DeVos even admitted that she’s doing their bidding on this one, having publicly stated that the delay is necessary because of “concerns recently raised by regulated parties”; in what world do the out-of-control schools get to determine the laws governing their operating standards? Lest you think that Betsy DeVos is all talk, let me clarify a few things for you – first, she’s serious about reforming student loans and student loan debt laws, and second, she’s about as aggressive as anyone I’ve seen in the past decade when it comes to making changes. Unfortunately, just like we saw above with her proposed updates, everything her Department has done to date is basically a bad idea for borrowers, and a bone thrown to her friends over at the big banks who provide the funding for this corrupt system, the for-profit schools that gauge borrowers without providing a valuable service, and the student loan servicing companies that take a huge cut themselves for doing very little actual work. Essentially, her Education Department is the tool of Big Banks, Big Schools and Big Servicing Companies, helping to drain as much income as possible from the average American. Back in 2014, President Obama’s Department of Education introduced a “Gainful Employment” requirement that required all schools to basically prove that their education programs would “prepare students for ‘gainful employment in a recognized occupation”, meaning that they had to prove they were providing some value in return for the tens of thousands of dollars students paid for the product. Essentially, the way this worked was to check employment percentages for graduates of each school, make sure that they were finding jobs that paid livable wages in relevant fields, and basically cut off federal funding to any school that wasn’t generating good outcomes for their graduates. This was one of the changes that helped turn some of the biggest for-profits across the country into bankrupt husks of their former selves, as obviously many of these schools hadn’t been providing a valuable service, even though they were forking out millions of dollars in student loans, and raking in billions of dollars in repayment. It’s literally one of the best updates we’ve even seen to regulatory powers over corrupt schools and universities, so of course, it was one of the first on the chopping block for Betsy DeVos and her for-profit friends appointed by President Trump. DeVos has been fighting this rule since she was first appointed Secretary of Education, but on August 10th, 2018, her Department of Education announced that it is going to get rid of this rule altogether. Betsy DeVos said she’s going to update the College Scorecard website, but isn’t talking about what she’ll be doing to hold failing programs accountable for scamming students, and my guess is that there won’t even be any sorts of penalties for failing to deliver a quality product here. Basically, she’s letting her friends in the for-profit education sector entirely off the hook, preventing them from having to prove that their programs lead to a legitimate career, and starting to send funds their way again so they can return to business as usual. This is a huge hit for the legitimacy of any for-profit school, and especially those that operate entirely online, and it means that people shopping for schools are going to have to chose their programs much more selectively in the future. President Obama’s Department of Education responded to widespread calls for reform to the way schools handle sexual misconduct cases, resulting in new Title IX rules instituted way back in 2011. These rules forced colleges handle cases of sexual misconduct appropriately, and under the standards set by Title IX, which is the Federal law regularly sexual discrimination. According to the new rules, any case that included a “preponderance of evidence” which made it seem likely that sexual violence or harassment had occurred must be handled by the school. Obama’s Administration also passed additional updates which required schools to protect the rights of LGBT students access to bathrooms and locker rooms, as well as their ability to participate in sports. DeVos’s Department of Education unwrote all the rules mentioned above, striking them from the standards, and allowing colleges to determine how they want to handle sexual misconduct complaints entirely on their own. They removed the “preponderance of evidence” requirement, replacing it with a new rule that says a “trained investigator must evaluate the availability of evidence” before deciding what can be done to the accused. All the rules about LGBT students were removed, as DeVos said there are too many legal problems revolving around transgender students, essentially leaving them on their own again instead of protecting their rights or access to anything. Once more, all the good implemented during Obama’s years has been completely washed away by Trump and Betsy DeVos. I don’t personally agree with Affirmative Action, but I can at least see the logic behind it – introduced to help diversify student populations, the 2011 updates made by Obama’s Administration made it clear that his team thought it was fine to take race into consideration when determining college admissions. While they didn’t make this an official legal change, they did signal their intention to support any sort of Affirmative Action processes being implemented at schools across the country, basically telling them that they’re ok to go ahead with plans as they weren’t going to attack those activities in court. That left it up to the schools to decide for themselves how they would approach this issue of cultural and ethnic diversity, so schools who wanted to participate in Affirmative Action programs could, while others who didn’t want to participate didn’t have to. And that’s a nice status quo because it lets the schools themselves decide how they want to handle things, without any sort of overbearing Government oversight. On July 5th, 2018, the Trump Administration Department of Education rescinded the Affirmative Action guidelines, claiming that they went too far beyond the Supreme Court’s established Affirmative Action precedent. Betsy DeVos’s statement said that “The Supreme Court has determined what affirmative action policies are constitutional, and the Court’s written decisions are the best guide for navigating this complex issue. Schools should continue to offer equal opportunities for all students while abiding by the law”, which basically means, you can’t use race as a factor in the college admissions process, or we may come after you. Personally, I’m ok with this change, as including race as a factor seems like discrimination to me, no matter how the rules are written, so this is the one time that I’m ok with something that’s come out of Betsy DeVos’s administration. I just wish they put as much effort, time and energy into reforming actual problems, like massive student loan debt, fraudulent for-profit operators, shady loan servicing companies, etc., instead of riling people up with wedge issues like Affirmative Action (which hardly impacts anyone). Obviously, DeVos doesn’t care a whit for the average American borrower, buried in excessive student loan debt, and struggling to make ends meet. But how far will her crusade to protect for-profit operators go? What other rules can her team remove to help facilitate the great scam that is low-quality higher education? It’s hard to guess what their plans may be, but I see all sorts of potential targets for new rules changes, including all of the amazing Federal Student Loan Forgiveness Benefits on the table. I wouldn’t be surprised if we saw her attack the slightly more amenable Federal Student Loan Bankruptcy Discharge Rules, or any of the other programs created to help students reduce or eliminate their debt outright. Betsy DeVos has signaled open hostility to virtually every single student loan assistance program that exists, and basically, anything created to help the student, at the expensive of the bank, school and servicing company, is at risk as long as this woman heads the Department of Education. Where Can I Go For Additional Details? For any questions you might have about student loans and loan debt, there’s a really good chance that I’ve already covered it somewhere on this site. 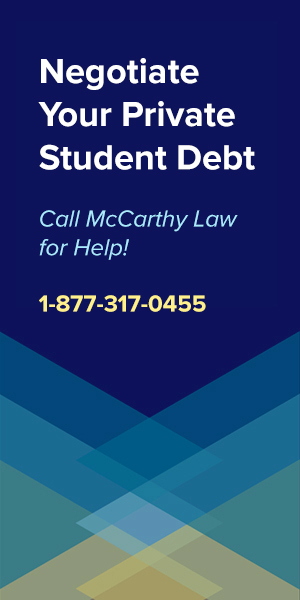 If you’re looking for Assistance with Federal Student Loans, visit my pages on Federal Student Loan Forgiveness Programs, Student Loan Bankruptcy Discharges, Student Loan Delinquency Rules, the Federal Student Loan Rehabilitation Program, and Stopping Student Loan Wage Garnishments. And if you need Help with Private Student Debt, be sure to look at my pages about Private Student Loan Forgiveness Programs, Private Student Loan Consolidation Opportunities, Private Student Loan Bankruptcy Discharges and Private Student Loan Default Help. For any questions that you can’t find an answer to, please feel free to post them in the Comments section below and I’ll respond as quickly as I can! Thank you for visiting my site, and if it helped you out, please consider sharing a link to it with your friends, family members, and social media followers. 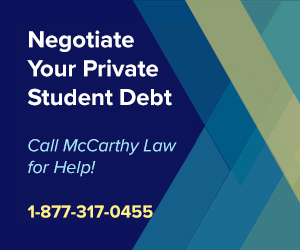 The more people who visit my site, the more time I can dedicate towards ensuring it covers everything you need to know about student loan debt. I am an attorney who was hired as an independent contractor for three non-profit organizations in California, (appellate panels) who contract with the Courts of Appeal throughout the state in order to provide court-appointed counsel for indigent parents, children, family members, and foster parents who are indigent and require representation on appeal. I am subject to being terminated at any time and every case of mine has an assigned staff attorney who supervises my work for quality. I also have to submit a claim to the attorney in order to get paid for my work, and the attorney can deduct my pay due to any perceived deficiencies. The claim, once approved, ultimately gets submitted to the judicial council of California for payment and I get paid out of the budget for state vendors by the State of California. My working relationship with all three appellate panels is absolutely no different than a regular employer-employee working relationship. I am for all intents and purposes, except I do not technically work for their panels as one of their staff attorney employees. I previously applied for the loan forgiveness program and this was the sole reason provided to me for why I did not qualify for the program. I have been out of law school for 19 years now and still have an astronomical amount of student loan debt. I find found it entirely unfair that a much more inexperienced attorney could qualify for forgiveness merely for being an “employee” because he or he technically worked for someone like the Public Defender’s Office, but because I chose an equally noble profession committed to helping indigent people protect their rights on appeal (and on appeal , unlike trial work, the Courts of Appeal have no choice but to contract with non-profit organizations in order to appoint independent contracting attorneys to provide indigent defense), I should automatically disqualify due to an apparent and totally unfair oversight in the law and loan eligibility requirements. Tell me how, exactly, this was a just result – especially when I don’t even get benefits, unlike a government “employee” (the term “employee” used in the most traditional sense of the word as we know it). Any rate, I recently started to rethink my options, especially since money is often tight, and in my field it can sometimes be weeks between paychecks due to the nature of the business, despite working over 30 hours per week for the last 14 1/2 years. First, I am appalled that of the 34,000 applications submitted to date, only 26 of them had been approved. That seems alarming. Is this due to an gross rate of subjective criteria being utilized to arbitrarily denied applicant’s loan applications? Surely, there have to be more than 26 attorneys out there in the public sector who qualify for this type of program who know about this program who would otherwise qualify? Is it really that difficult to qualify for? What is the problem do you think? Well, regardless, I think I was wrongfully denied and I would like to apply and explain why. This is after careful consideration after reviewing the law and multiple on-line student loan resources that educated me on the matter and what, exactly, my rights are as an “independent contractor” I believe. I would like your opinion and, if denied, what my next options are because I think us independent contractors who do public interest law for a full-time living should otherwise have available recourse. It is not fair. At any rate, all three appellate panels for whom I work (yes – I had to go through I rigorous hiring process to be selected to be on their panels) are non-profit organizations and tax-exempt under the IRS Code. I am an independent contractor with them and they are responsible for ensuring that I get paid by the State of California. I work well over 30 hours a week collectively among the panels and have done so for 14 1/2 years. I have made well over 120 payments toward my student loan debt. I have reviewed the law, specifically the Code of Federal Regulations, specifically 34 CFR 685.219, as it applies to the Public Service Loan Forgiveness Program (“PSLF”), and I meet the qualifications. First, I was “hired and paid by a public service organization.” Next, it is clear that I am in fact hired and paid by a qualifying public service organization as a non-profit organization under section 501(c)(3) of the IRS Code that is a non-profit organization under section 501(c)(3) of the IRS Code that is a private organization that provides public interest law services and is not a business organized for profit, a labor union, etc. All three panels for which I work are non-profit organizations under 501(c)(3) of the IRS Code and provide public interest law services for non-profit purposes, I which personally verified. Next, the Code, as it was most recently amended, is clear that I qualify as an “employee” or “employed” even though I do independent contracting work with the three panels because the CFR specifically defines “employee” or “employed” as meaning an individual who is hired and paid by a public service organization for a “CONTRACTUAL” OR employment period of at least 8 months, an average of 30 hours a week, or when there are two employers, the number of hours the employer considers full-time. (34 CFR 685.219(c)(i)(B) and (b)(ii).) Thus, as an independent contractor doing business with a non-profit organization under the IRS Code, who provides public interest law services, and because the Code expressly refers to working via contracted services, not just working directly as a paid employee of an employer, I believe I meet the definition of “employee” or “employed” within the meaning of the most recent version of the CFR for meeting the criteria for the loan forgiveness program. Additionally, to further bolster my position, I need to point out that page 5 of the recent PSLF application form clarifies the term “employee” and states that you are an “employee” so long as you are working at a location of or with an organization “under contract” with your employer, the organization that hired you pays you must be a qualifying employer, not the organization where you perform the work. Also, a “qualifying organization is a government organization, tax-exempt organization under Section 501(c)(3) of the Internal Revenue Code, or a private not-for-provide organization that provides certain public services.” (See page 5.) Therefore, it is even more clear that independent contracting work between individuals such as myself and organizations that are tax-exempt under Section 501(c)(3) of the IRS Code are in fact contemplated to be included in the loan forgiveness program and should not be excluded. Additionally, the Department of Education has drawn the line where the contractor does not qualify. In the Final Regulations of the PSLF, the Department mentioned, “Several commentators recommended that contract employees who serve organizations that are tax exempt under section 501(c)(3) of the Internal Revenue Code should be considered as employees of a public service organization.” The Department of Education responded, “Contract workers at these institutions who are not paid by the institution, but are paid for a for-profit company contracted to provide certain services to the institution would not be covered.” Therefore, again, we see the importance of who hires and pays you and independent contractors are NOT contemplated to be excluded from the loan forgiveness program. The key to the definition of “employee” for PSLF program, again, and according to the Department of Education, is whether who hired and paid you is a qualifying public service organization (under PSLF law). For PSLF purposes, non-profit government contractors are not qualifying employers. You must be employed by a qualifying employer for your employment to count toward PSLF. 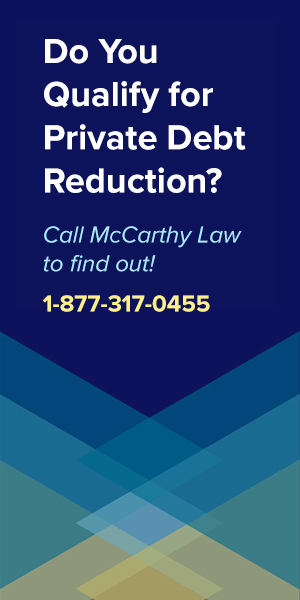 If you are employed by an organization that is doing work under a contract with a government agency or other organization, then it is your employer’s status, not the status of the organization that your employer has a contract with, that determines whether your employment qualifies for PLSF. Therefore, in my case, because the three panels for whom I work are non-profit government contractors, but are not-for-profit organizations who are tax exempt under the IRS Code who provide public interest law services (i.e. see application form at p. 5), all three panels are clearly qualifying employers. As I already mentioned, I believe the recent Code and application for loan forgiveness definitions of “employee” and “employed” made it absolutely clear now, if it wasn’t clear already, that contractors such as myself are in fact specifically contemplated to be included within the spirit and protection of the loan forgiveness provisions and eligibility criteria and, again, I believe I have demonstrated that I qualify. If I cannot get approved for this, I would like to know if there is a grievance procedure or appeals process because I would like to state my case and take it further because I believe any denial would be based upon an unfair loophole, misunderstanding, or misinterpretation of the law and it should be reviewed further. 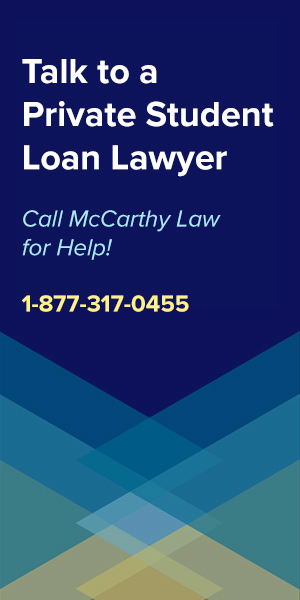 Additionally, in the event I am actually approved for the loan, is there any available recourse available, such as crediting me for the loan payments I made after the time I was wrongfully told I did not otherwise qualify for the program? I really appreciate ALL of your time to this very important matter to me. My student loans are very expensive and basically the cost of a car payment per month. I am on the most affordable plan there is, unfortunately. I am trying to be the best advocate for myself possible and wish I had known the information I know now about the various laws and definitions, etc. I could totally be wrong and misguided on all of this stuff, but it seems obvious to be that there would be no use to include “contractors” and “contracting” within the scope of the law and the various definitions if the intent of the law was to automatically preclude independent contractors from qualifying for the loan forgiveness program. I look forward to your response on what your thoughts are on whether I should plead my case and give this another shot. Thanks for your detailed Comment! I think you win the “Longest Comment Ever Left on FSLD” Award! I agree with you completely about the weird little intricacies of the program guidelines, and I think you SHOULD qualify for PSLF, but I can tell you that it doesn’t matter, no matter how ridiculous the rules may sound – that’s how they’re enforced. This is especially true in the Betsy DeVos era, and it’s exactly why we’re seeing SO FEW PSLF approvals and BDAR approvals! The Department of Education isn’t going to care about your opinion here, or that you knew or didn’t know how the rules work. They’re going to say “You don’t meet the eligibility guidelines” and they’re going to deny your application. This SOMETIMES happens, but refunds are WAY harder to earn than debt forgiveness. I haven’t found a detailed explanation on WHY, but that seems to be the case from all the feedback I’ve received on these programs over the years. I’m not saying it’s not possible, but it’s highly, highly unlikely. 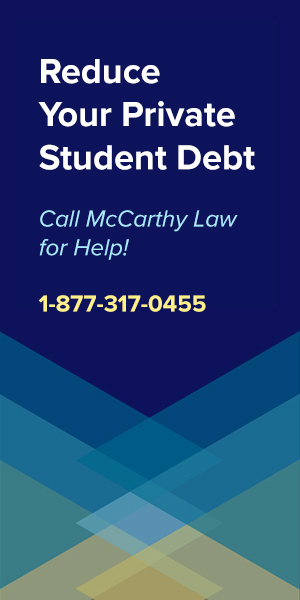 The only thing I can say that I think MAY be of any help to you is to contact the Student Loan Ombudsman Group and see if there’s anything they can do to help advocate on your behalf. 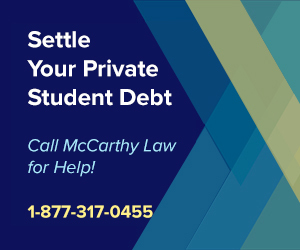 These guys are a group of attorneys who provide FREE legal assistance on student loan-related issues, and they are backed by the Federal Government, so you can definitely trust them. Google their name to find their contact information, and MAYBE you’ll get lucky and they’ll be able to figure something out that lets you qualify for the benefit!